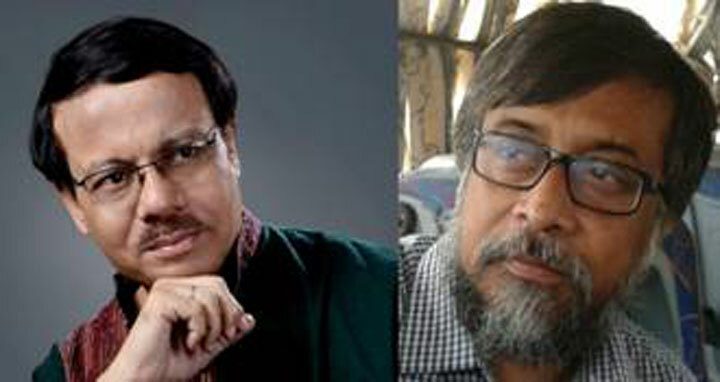 Dhaka, 3 Jan, Abnews: IGCC is organising an evening of music titled ‘Music Mind’ by Singer Mr. Prabuddha Raha and Pianist Mr. Soumitra Sengupta, from India, at Kobi Sufia Kamal Auditorium, Bangladesh National Museum, Shahbagh, Dhaka at 6.00 PM on Monday, 8 January, 2018. ‘Music Mind’, the creation of Mr. Prabuddha Raha and Mr. Soumitra Sengupta, is a special concert of Tagore songs in which Rabindra Sangeet with Piano brings out the subtle influences of Western Classical music on Rabindranath Tagore. This will be the 8th show of ‘Music Mind ‘. Their last show was held at Drury University, Springfield, Missouri, USA. Mr. Prabuddha Raha started his musical journey at a tender age and later completed Diploma in Rabindra Sangeet from the musical institution “Dakshinee" in 1978. He received advanced training in Rabindra Sangeet from eminent Tagoreans Acharya Sailajaranjan Majumdar and Smt. Kanika Banodyopadhyay. He also got training in classical vocal music from Prof. Debiranjan Bandyopadhyay; Panchakabir Gaan from Shri Arghya Sen; and Modern Bengali songs from Shri Pintu Bhattacharya of Kolkata. Mr. Soumitra Sengupta has learnt Western Classical music on Piano for twelve years from different experts in Kolkata including Mr. Fernandes and Mr. Ajoy Ghosh. He can play the compositions of great composers like Beethoven, Mozart, Chopin, Liszt and others. Apart from music, he is a senior Professor and a theoretical Physicist by profession and works in a National Research Institute in India. He is also a fellow of the National Academy of Sciences, India. All are cordially invited to attend the programme. Entry is open to all (there is no need to collect Invitation Pass).